Owing to the vast experience in this experience this field, we are engaged in offering a wide range of optimum quality Urethane Rubber Accessories. These products are manufactured using optimum quality urethanes that can are used in the manufacturing of flexible, high-resilience foam seating and rigid foam insulation panels. These products are highly appreciated for their elasticity, durability, and sturdy construction. These products can be custom made as per the request of our valuable customers. 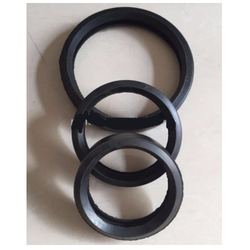 Highly resistant against abrasion, tear, ozone, hydro carbon, fats, oils, grease, the Urethane Rubber Gaskets we manufacture are very much in demand. This product is used for various static and dynamic works. These products even assist in sealing. These products have a long life. We provide these products in various sizes as per the client’s specifications. We manufacture these products using high quality raw materials and for the purpose of quality assurance process them through a number of quality checks. 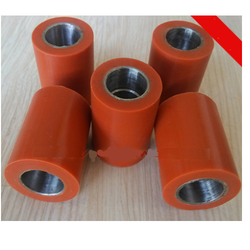 Highly durable in nature this Urethane Rubber Roll we manufacture is corrosion resistant. This product is manufactured using high quality raw materials and even sent for a number of quality checks as we wish to provide our clients quality products. The product has a sturdy rubber body and stainless steel stem. Easy to install and maintain this product is used for various industrial purposes. This product is provided by us in various specifications as per the needs of the clients. Looking for Urethane Rubber Products ?